Product #157 | SKU 2-038-0010 | 0.0 (no ratings yet) Thanks for your rating! Enables accessories to be attached to standard 15mm rod configuration. The Lightweight Support Arm from Redrock Micro features two mounts (each with two holes spaced 60mm apart) for standard 15mm rod pairs. 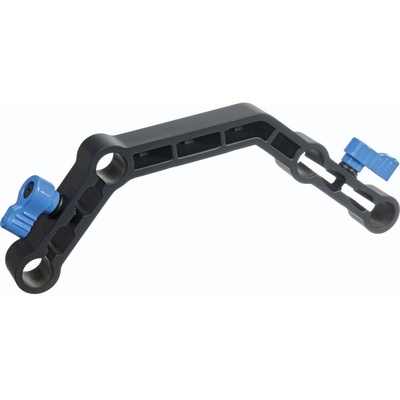 This support arm enables the microMatteBox and other Redrock accessories to be attached to a rod system.